Nike’s Reuse a Shoe recycling program accepts worn out rubber soled athletic shoes (any brand) and turns them into running tracks, padding for basketball courts, and tennis courts. 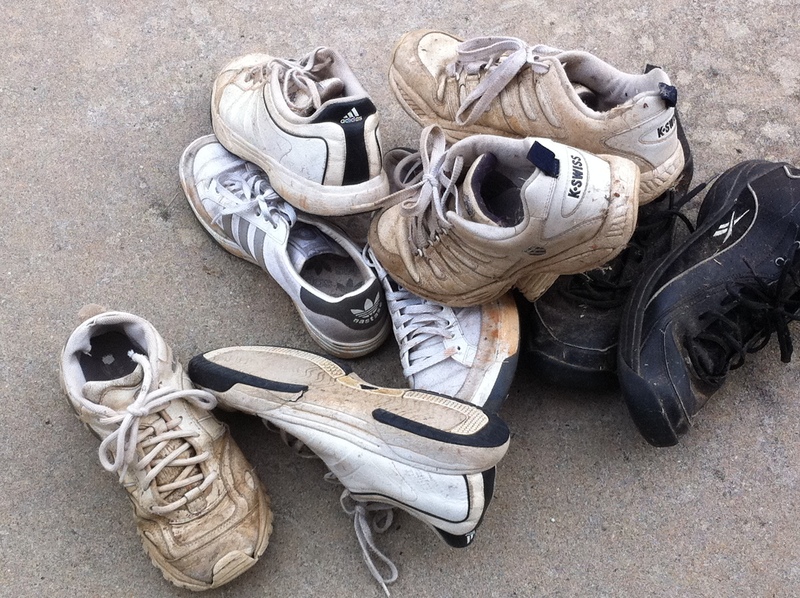 To date, they have collected over 25 million pairs from drop off locations nationwide. To find a shoe drop off box in your area, visit their website. This entry was posted in Shoes and tagged donate shoes, Nike Reuse a Shoe program, postaday2011. Bookmark the permalink.